Inspiring NICU Stories - Meet Joanne! Joanne was born at 33 weeks, and she was in the NICU over 2 months. During that time she had to endure complications of apnea & bradycardia, jaundice, and a blood transfusion as well. Joanne is approaching her first birthday and you’d never be able to tell she was a premature baby. She has almost four teeth, loves to say “mama” and “dada,” crawls everywhere and gets into EVERYTHING, finds it hilarious to clap and to smack her belly, and loves Elmo, Trolls, bath time, and play dates with two of her NICU friends, Maggie and Emma. My daughter batted horrible reflux and bradycardia, had her car seat challenge scheduled 5 times before she was actually able to take it (stupid bradys! ), had her bed angled at 30 degrees until a few days before she was discharged, and we ended up consulting with neonatologists in Dallas before we were able to figure out the right medication that would alleviate her symptoms. Now, she's an energetic, feisty 11-month-old that her dad and I are enamored with. 1. What was one of your best coping strategies during your NICU stay? Educating myself as much as possible and getting to know the people who were taking care of my baby. I spent loads of time chatting with our sweet nurses, and wrote lists of questions to go over with our doctors and NP’s. It helped me more than I can say. 2. Is there something that a caregiver did during your NICU stay that you really loved? Every time the nurses would create some sort of artwork for my daughter, it really lifted my spirits. For example: a picture of my daughter wearing a party hat with “Happy New Year From Joanne!” written below it, and a “These little toes are one month old!” sign with her footprints on it. Very simple and very effective. 3. What's the best thing anyone did for you that helped during your NICU stay? One of our NP’s sat me down on a really, really difficult day and told me her personal and detailed story of when her son spent time in the NICU. Knowing that this woman (who was frequently making decisions for my baby) had been in my shoes was extremely comforting. The “Our NICU Journey” journals. Seriously. As a visual learner, it would’ve been so helpful to have the stats all written down and be able to track my baby girl’s progress. Also: the Owlet. You can't put a price on peace of mind! 6. Do you have any NICU-related book recommendations? “Anchored” by Kayla Aimee. It’s one woman’s memoir of her daughter’s premature birth and it’s amazing. What would you like the nurses/doctors/therapists/social workers to know? Personal interactions (hugs, a hand on the shoulder) go a long way with us mamas. And little things like artwork or pictures of our babies next to their crib are incredible. 5) Reading stories and articles that I could relate to. A good resource that I follow on Facebook is Hand to Hold, a nonprofit preemie resource organization/support group. And, as mentioned, reading “Anchored” by Kayla Aimee. I HIGHLY recommend it. Thank you Samantha for sharing your story! If you would like to submit YOUR Inspiring NICU Story, head over here to answer at least 5 of the interview questions. Stories with photos are much more likely to be featured in our monthly newsletter. I can't wait to hear your success story! Oh, I adore Valentine's Day in the NICU! What better holiday than the one devoted to LOVE? These 12 are this year's favorites for sweet, thoughtful, NICU-appropriate gifts for that baby or family you love. Swaddle blankets - why not swaddle your little one in love? Hearts are perfect for Valentines's day, and then for every day after that. A great gift that lasts well beyond the holiday. (If your baby is too small to swaddle in a blanket right now, you can ask if the staff can use the blanket as bedding for your baby's NICU crib or isolette). Pink hearts and hand-drawn hearts are so sweet! Recordable Gifts - I LOVE these for babies in the NICU because anyone - grandparents, aunt & uncles, siblings, and of course parents - can record their voices for the baby to hear at any time in the NICU. 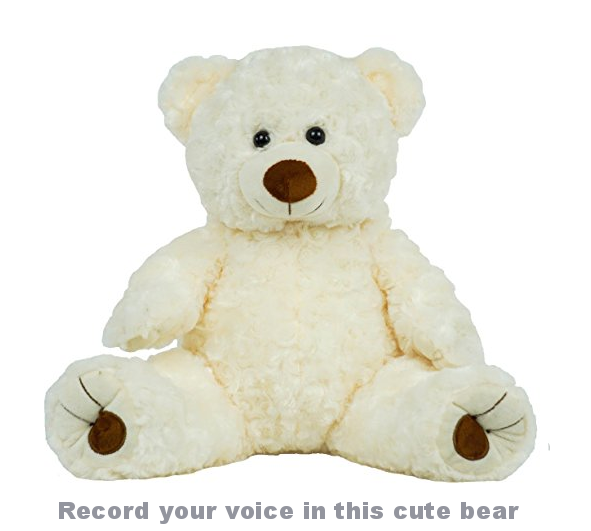 Whether you prefer a big cuddly bear (make sure the NICU allows plush in the NICU), or a book that you can record as you read, they're all super fun ways to share the gift of your voice. Of course, every baby should hear "Guess How Much I Love You" because it's just about the best baby book ever. So if you don't have it yet, this is the perfect occasion. Micropreemies deserve to be showered in love on Valentine's day, too! 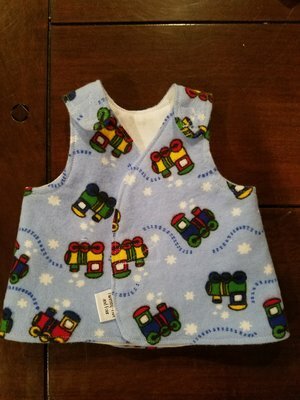 So you might consider a NICU-approved onesie or diaper cover from Jacqui's Preemie Pride. For the bigger babies, you might consider a super adorable "costume." These are made specifically for photo shoots and there are tons of adorable outfits to choose from. My favorite this month is the suspenders & bow-tie combo from Yarra Modes. Finally, everyone loves a soft, squishy plush, and this love heart is just so adorable to keep at your baby's bedside. You may not be able to put it in with your baby, but I love the idea of having it at home to snuggle with when you're missing your baby. A gift to yourself, and one you can then use in your baby's nursery when you're all home together. You know this book, right? Well, to tell you the truth, I am amazed at how many NICU professionals and parents haven't heard of it. If this book isn't something you're familiar with, it really is a must-know resource for parents. 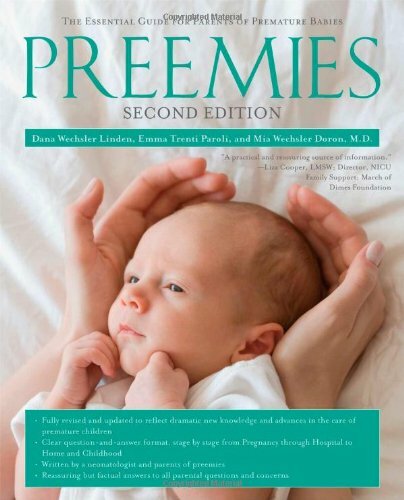 Because Preemies is the ultimate textbook for preemie parents. This book covers a broad spectrum of topics that most preemie parents will need to learn about, written in a very comforting and nurturing tone. The tone is very empathetic, friendly, & approachable for preemie parents. The lingo is not to technical, although they do a great job of explaining the technical terms preemie parents need to know about in simple and understandable words. I like to think of this book in this way: imagine the nicest NICU nurse and the nicest NICU doctor (the ones you love because they explain things clearly without scaring or overwhelming), taking all of their knowledge and compressing it into one big book of knowledge. It makes an ideal addition to any NICU's library, so if your NICU doesn't have a copy to share with parents, I highly recommend you consider buying one (maybe donating one?) 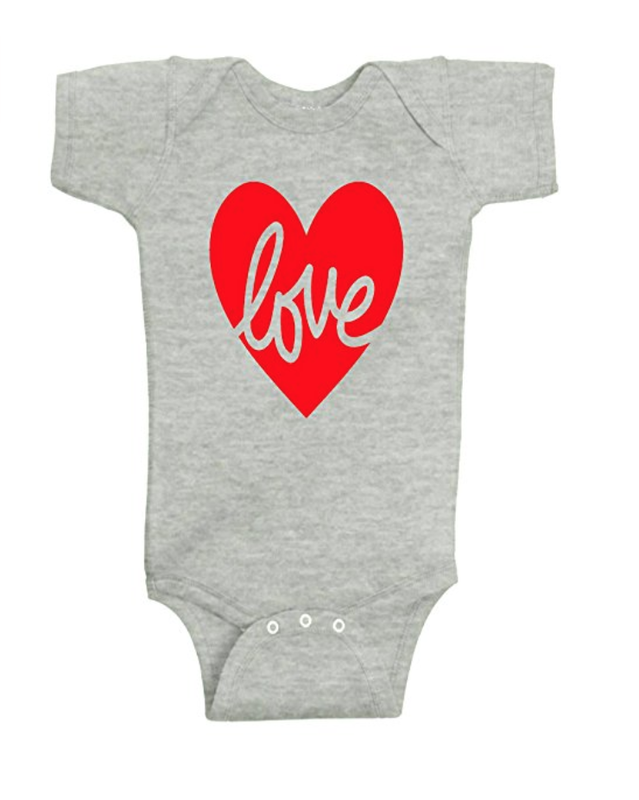 for the NICU you love. Have you heard of the My Preemie app? 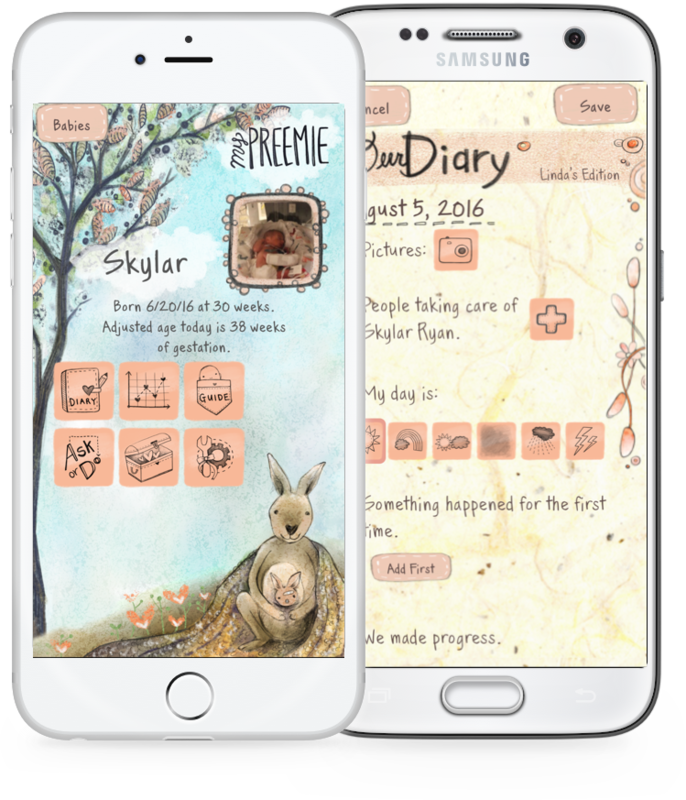 This app was designed by the brilliant folks who authored Preemies (discussed above) so I thought this month would be a great time to highlight the app they created as well. What I love about this app is that it acheives a very difficult goal - it looks and feels very normal and comforting while at the same time offering significant medical knowledge and technically relevant information. And the good news is that it's free! I first came across the app when it was still managed by the authors who designed it, but it has more recently been acquired by Graham's Foundation which is a great organization to know about. (Learn more about them here.) Thanks to Graham's Foundation and their sponsors, the app is available for free, so grab your app today! "Making a difference, one stitch at a time"
Twenty Five and Four is a non-profit group on a mission - to be sure every family who wants a shirt for their preemie can have one. Our mission is to give parents something to look forward to. Having a shirt that will fit even a one pound baby gives hope; A light at the end of a very long tunnel. The moment you get to dress your baby for the first time is a memory not soon forgotten. Started by micropreemie mom Amanda Huhta, this group has grown by leaps and bounds since its inception in 2016. Amanda let me know that just last year they sewed and delivered over 4,000 tshirts! And they've recently been given the okay to deliver their micropreemie shirts to the babies at Winnie Palmer Hospital, which is home to one of the largest NICUs in the country. 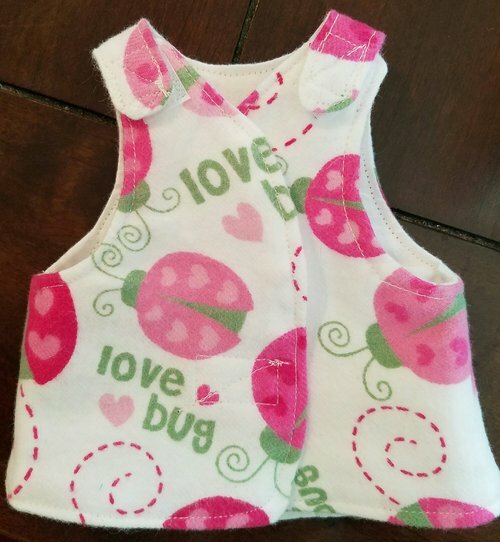 One of the first things parents get to do when they find out they're pregnant is pick out their baby's first outfit. They get to go to Target or Buy Buy Baby, breeze through all the newborn clothes and pick the perfect one! Well, when you have to go to the NICU, unexpected or not, that isn't always an option. Due to all the wires, IV lines and tubes, regular clothes don't always work. At Twenty-Five and Four, we put the power back in the parents hands. You get to pick out the style you like and material that defines you and your family. Whether it's cute little butterflies or big trucks and airplanes, you as the parent get to pick out your little one's outfit. Just like you were supposed to be able to do in the first place. You can also offer to help make the shirts, so if you're interested in joining their group of Sew Fabulous sewers, learn more here. Here's the local news segment that helped launch this non-profit from a big idea to a huge success - enjoy! Relationships can bear a tremendous strain when the couple has a baby in the NICU. I love to encourage partners to look at Valentine's day as a day to reflect on each other and on how their relationship is growing and changing under these new circumstances. It can be great fun for you and your partner to head out for a date night on Valentine's day! But some couples find that romance and couple-time is a pretty low priority during the NICU days. I think it's good to try to do something as a couple anyway - as an investment in your relationship and as a way to remind yourselves that your baby will thrive best if both parents are feeling supported, loved and nurtured. You and your partner will very likely differ in your experiences, feelings, and ways of coping through the NICU. Everyone reacts in a unique way and that should be expected and honored. It can get so frustrating when one partner has widely different ideas and opinions about how to manage, but know that a crisis like the NICU is bound to bring up strong and different emotions and there's nothing wrong with how anyone reacts to the trauma. Remember to nurture your relationship. As frustrating as it can be to have a partner who has different ideas about the NICU, they are also one of the few people who can truly relate to your situation. So invest in each other and you'll grow a new stronger bond through this. Share your thoughts, feelings, and fears with each other. Talk about it. Allow yourselves to be honest, and then use your strengths to help one another and hear each others weaknesses in order to better support one another. Deal with conflict in constructive ways. Respecting one another is of utmost importance. Remember, you're both coming from a place of love for your child. Be willing to listen. It's great to vent, and it's great to be the listening ears for someone who really just needs to get their emotions out. When your partner is venting, please resist the urge to try to fix the situation or try to talk anyone out of their feelings. Want to read more? A good short article Making Your Marriage Work in the NICU from our friends at Hand to Hold gives a parent's perspective. I hope your February is filled with love! I always love hearing from readers, and every email I receive is answered personally by myself (Trish), so please reach out any time with your thoughts, newsletter recommendations, or just to say hello! 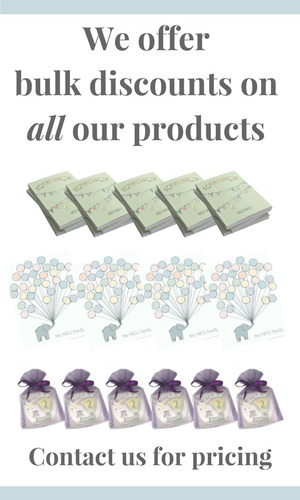 *Product mentions are not necessarily endorsed or recommended by Every Tiny Thing, LLC. Links to external sites may be affiliate links but I have not been paid by any organizations listed here for the mention. If I mention it, it's because I think everyone should know about it!